Where Is Your Psoas? : How To Find And Activate Your Deepest Core Muscle! I Have been obsessed lately with teaching pulling the knee into the chest as you kick into handstand. This action works because the action of bringing the knee to the chest activates the psoas muscle. 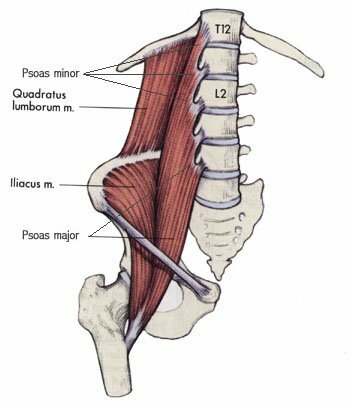 I find it useful to imagine that the psoas is a puppet string, originating on my inner thigh (lesser trochanter). The puppeteer (what good are puppet strings without a puppeteer?) is sitting on my lumbar spine and holding the other end. She can pull on or release it, depending on whether she’s raising or lowering my leg. Here is a music playlist I used for my “Hot and Sweaty” yoga sequence last Sunday. The yogi in the photo is yoga teacher Marysia Weiss of the HotandHealthy blog. Photo by Jim Knowles. Here is a 90 min handstand and core-focused vinyasa flow yoga class with me Angela Kukhahn. It is s featured as one of the FREE online yoga classes on the Yogis Anonymous website this week. Perhaps you find yourself with enviable boredom with regular handstand and are ready to move onto something a bit more luxurious, the Ferrari if you will of handstanding…the one handed handstand. Side Note: If you are a yogi who is offended by my reference to such a gas guzzling monster as the Ferrari rest assured that a yogi like myself is only referring to a eco-friendly Ferrari that runs on vegetables, rainbows and good intentions. To do this pose you will want to start small working with one hand on a yoga block on its flattest side. Your goal will be to keep the arm of the hand that is on the block strongly firming to the mid-line of the body as you kick up into your handstand. Next place the block on its side at middle height and continue. You get the idea. The higher the hand that is not on the floor the more difficult it will become to balance in handstand. Eventually of course you will get rid of whatever props you are working with and try to balance by shifting your weight onto one hand, coming up onto the fingertips of the opposite hand and then slowly lifting the fingertips and balancing in your one-handed handstand!